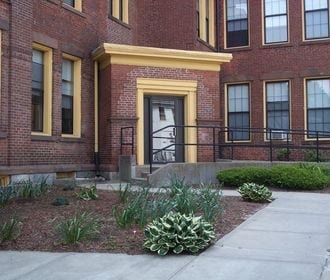 The Schoolhouse Apartments are conveniently located in downtown Waterbury, CT near the Green and designed for adults 62 or older and younger persons with disabilities. Live in unique restored historic buildings, rich with Waterbury history. 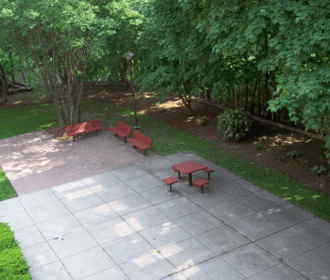 Located in the heart of downtown Waterbury, close to major highways, shopping, dining and museums. 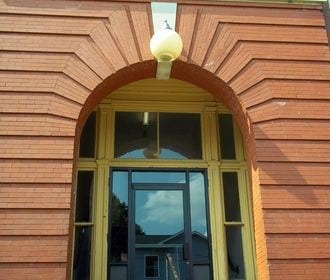 The beautiful buildings that comprise The Schoolhouse Apartments are listed on the National Register of Historic places and are some of the old factory buildings that made the Waterbury industry famous. Many of the distinctive architectural features have remained while the modern conveniences of apartment living today have been gracefully integrated. One and two bedroom apartment homes include gallery kitchens, large closets, and wall to wall carpeting. Monthly rent includes utilities. Please contact our Leasing Office for applicable income limits and program eligibility.